Bill Witcher is a native of Virginia. He attended Appalachian State University where he received his Bachelor of Music degree in 1974 and his Master of Music degree in 1987. While receiving his Master's degree, he was a Graduate Assistant in the School of Music working with the Marching Band, Symphonic Band, Wind Ensemble, and teaching brass methods, private trumpet, and music appreciation. His Master's thesis, a correlation study of music instruction and brain development, was nominated for an outstanding thesis award. He has done further post graduate study at Florida State University. Mr. Witcher was fortunate to do his student teaching with the famed Lenoir High School Band before the closing of that school. He has taught in the public schools of Madison County, VA, Thomasville City, Rowan County, and Iredell County. He retired in 2006 after 32 years as a band director from the Caldwell County Schools. He was the band director at Hibriten High School, which has long been acknowledged for its musical excellence. The Hibriten Band has earned consistent Superior ratings at the North Carolina State Music Festival in Grade VI music since the opening of Hibriten in 1966. The last 9 Superiors occurred during Mr. Witcher's tenure at Hibriten. Mr. Witcher also taught Advanced Placement Music Theory at Hibriten.During Mr. Witcher's time at Hibriten, the Hibriten Band traveled to New York City 3 times, Atlanta, GA, and Toronto, Canada participating in national music festivals, which earned additional Superior ratings from a national slate of adjudicators. In 2000, the Hibriten Band received the honor of being selected to perform for the North Carolina Bandmasters. Additionally, the Hibriten Band received the coveted Ensemble of Excellence while at the 2002 New York Festival as the top overall band of the Festival. Since retirement, Mr. Witcher has been a member of the adjunct faculty at ASU teaching brass method courses and serving as the Academic Advisor for the School of Music. He has also been on the staff of Cannon Music Camp directing the Symphonic Band and teaching music theory. He is a former President of the Northwest District Bandmasters and has run the Middle School State Band Festival. He is a member of the Music Educators National Conference, National Band Association, Phi Mu Alpha Sinfonia, Pi Kappa Lambda, and is an elected member of the American School Band Directors Association, serving as the State Chair since 2006. Mr. Witcher is also a National Board Certified Teacher in Early Adolescence/Young Adulthood Music Education. He is much in demand as an adjudicator and clinician. 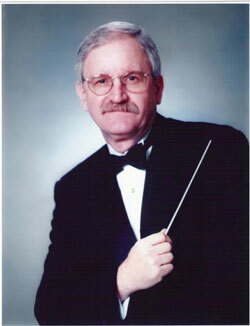 Mr. Witcher is married to Nancy Phillips Witcher, a retired choral director and has 2 daughters, Erin and Jenna. Erin is the music teacher at Hudson Elementary School in Lenoir and Jenna is a Board Certified Music Therapist, working with Voices Together in Durham, NC.